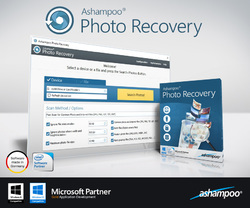 Ashampoo Photo Recovery 1.0.5 was available as a giveaway on February 5, 2019! How would you improve Ashampoo Photo Recovery 1.0.5? Installed with no issues. 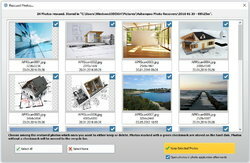 Very simple interface with a only few options to expand the search and change basic parameters. Results were actually quite impressive. 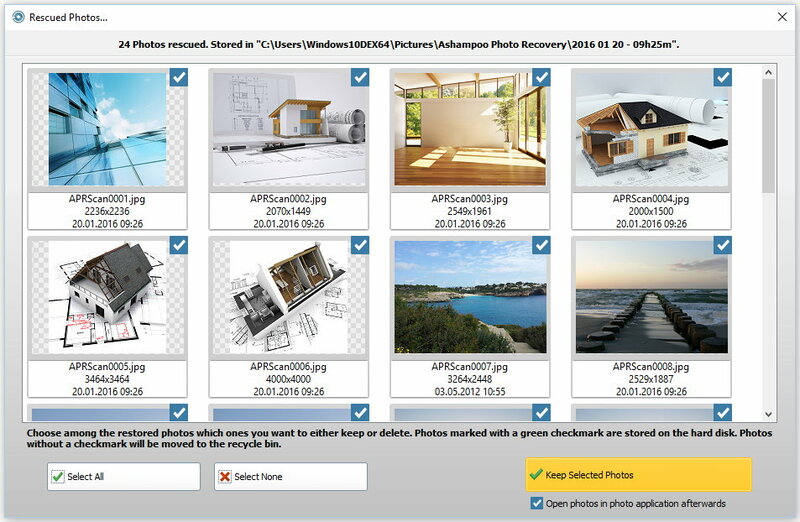 The program discovered images that recuva and Easus did not. Would be useful for the program to indicate where the files were found so I could investigate further why the other programs did not find them. The progress bar did not update during the search so I hit cancel after 30min to find that it had completed the search. A keeper despite the limitations as it's clearly got something that others do not. It says in the description that it will recover corrupted files too. Doesn't that mean partially overwritten files? What other type of corruption is there? It says in the description that it will recover corrupted files too. Doesn't that mean partially overwritten files? What other type of corruption is there? bob, The way I read the description, it says it will recover corrupted image files, but doesn't say it will also repair them. All recovery programs I know of can recover damaged (partially overwritten) files, but these may be useless in practice. Great S/W by Ashampoo. A definite keeper. 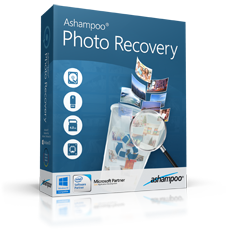 На mail.ru уже больше часа не приходит ключ к Ashampoo Photo Recovery 1.0.5. Bob, something else is other data! TK, Photos that are damaged after repair are no longer of interest to me. Even if it is only a small square that does not belong in the picture. Or media files that Windows says, "Can not play the file because it is damaged or the necessary codecs are missing". Or Media Player Classic, "can not render". TK, Photos that are damaged after repair are no longer of interest to me. Even if it is only a small square that does not belong in the picture. Or media files that Windows says, "Can not play the file because it is damaged or the necessary codecs are missing". Or Media Player Classic, "can not render". M. H., Photos that are damaged after repair are no longer of interest to me. Even if it is only a small square that does not belong in the picture. M. H., Photos that are damaged after repair are no longer of interest to me. Even if it is only a small square that does not belong in the picture. Or media files that Windows says, "Can not play the file because it is damaged or the necessary codecs are missing". Or Media Player Classic, "can not render". Why not of interest. If it's an important image the damaged part might be an inconsequential area that can be cloned over using photo editing software. Gilbert Roland, Why not of interest. If it's an important image the damaged part might be an inconsequential area that can be cloned over using photo editing software. That depends on where the damaged part is located! If the damaged part is on your face, it is not worth it to repair it with MSPaint. Gilbert Roland, it depends on the size of the damage. If it's really only a single byte, you might not even notice it (because each pixel is made up of a 24bit RGB value). Even if the damage is several bytes in size and thus would be visually noticeable as wrong pixels, it's normally not too hard to fix this in a more evolved image editor (e.g. GIMP). It all depends on the importance of the image for you. But yeah, better have a backup in the first place. Gilbert Roland, As I said... 1 byte change within a JPG file does NOT automatically make a JPG file unusable if the location is not in a place that breaks the JPEG encoding of which there are MANY places in a JPG file that can be changed and produce not validation or visual changes in the use of the file. You are now trying to move the goal posts. 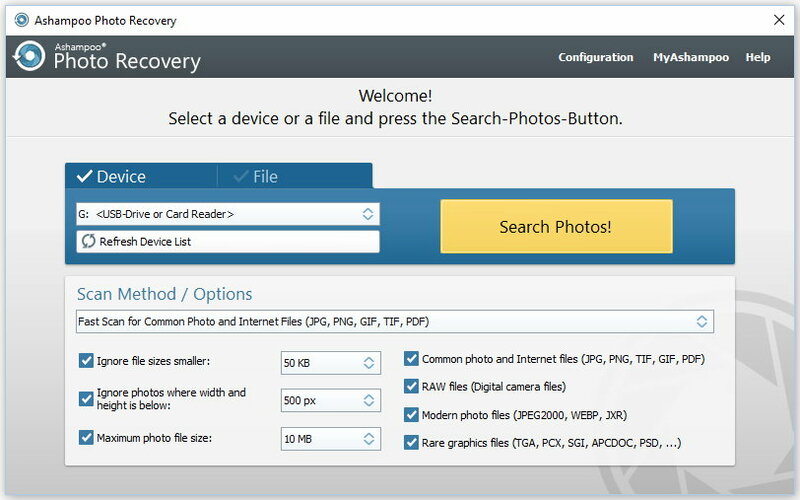 Your orriginal claim which was entirely wrong and logically proven so: "As with any recovery program, Photo Recovery can not recover when a photo is overwritten by 1 byte due to something else." remember? Next you'll say that if the meta-data such as Exif or other meta-data standrds data is not identical to the original you aren't interested in those either... well you never said "I am not interested in any image file whose content has been changed by 1 byte!" If you had we would have just shrugged and thought silly person... but you are entitled to your own choices no matter how wasteful and unprovable... unless you SHA-256 every image file you ever have processed and compare every recovered image file to confirm the hashes still match... even then it is mathematicaly possible to have a single byte change or more that might cause a SHA-256 hash collision... 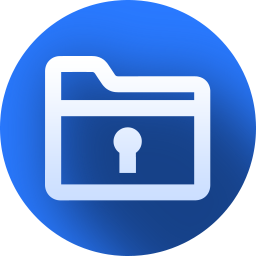 The only way to ensure the recovered file is an EXACT copy of the original file bit for bit is to have a copy of the original file... in which case why bother trying to recover or test the image data on the media where the file was lost from... It all seems rather futile and pointless just accept whether you meant exactly what you wrote in your original comment or not it was not true, sorry. 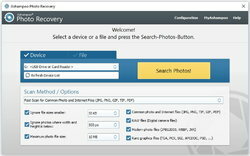 There are also recovery methods that search for file type specific headers and then simply read out a specific number of expected logical clusters in excess of the original files size and then let the program that uses that file type to read the valid data out of that recovered file and the recovered file is completely different in terms of size and content but is completly valid data and can be used just fine... Is that not of interest to you either? oh well! Gilbert Roland, LOL MSPaint... don't be silly... use something that has a clone facility even a free editor and even if the corruption is in the facial area it may be possible to perform an invisible repair if skin defects cn be removed on a daily basis by marketing companies even a determined amature can remove a faulty pixel or two!